Garage doors and their associated parts can degrade or cease to function over time. Your garage door may be damaged due to accidents or dangerous weather conditions. Maybe the battery in your remote control or the opener has stopped working. If your door isn’t working opening or closing properly, is making loud noises, or has completely ceased to function, it’s time to call Local Garage Door Repair Hialeah. Our trained technicians can troubleshoot any problem at your home or business, fix the issues promptly, and in the event that the part is beyond repair, replace them. Damage to the garage door can be caused due to either direct or indirect impact to individual parts. Hinges can get bent; door panels can be dented accidents caused by cars backing or running into them. The cables and springs can break and the rollers can wear out over time. We’re very mindful of your safety. Did you know that 20,000 to 30,000 garage door related injuries occur each year, resulting in trips to the hospital emergency rooms? These injuries can happen by faulty equipment as well as small children playing around the springs and having their fingers smashed between the coils. If a sensor stops working, a car door could come down on someone with such force that it would crush a child. Injuries can also occur when home or business owners attempt to fix major garage door related issues by themselves; improper use of ladders and not having the right tools, as well as the expertise to fix the problem. Local Garage Door Repair Hialeah values your safety as well as those around you. We also know that you take great pride in your vehicles and want to help you avoid unnecessary damage to them. 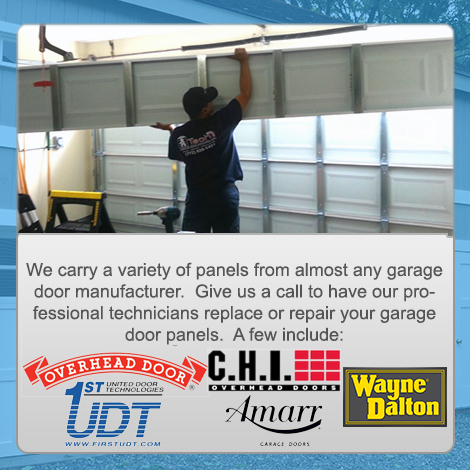 We’re here to ensure that your garage door remains in good working order. Our licensed, bonded and insured, technicians are here to assist you. Emergency services are available twenty-four hours a day, seven days a week. We can send a technician out to help you at any time… all you have to do is call! Local Garage Door Repair Hialeah L is here to help you get your home or business garage door back on track ASAP. Our prices are extremely competitive! We also offer web-only discounts, and we offer a 100%, no-questions asked, money back guarantee! What are you waiting for? If your garage door is down for the count, call us now and let’s get it up and running!